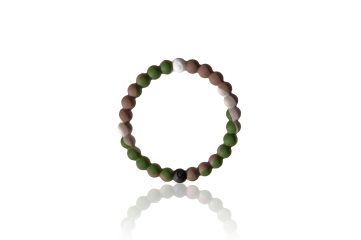 Today, our friends at Lokai announced their partnership with WWF with their new Wild bracelet. From today until July 28th, they’ll donate $1 for every Wild Lokai sold to the WWF, with a minimum commitment of at least $250,000 going to the organization, which means changing the lives of hundreds of animals. If you’re not already acquainted with the bracelets worn by Vanessa Hudgens, Bella Thorne, Emma Roberts, Kendall Jenner, Lucy Hale, Ashley Greene, and Alessandra Ambrosio, then let us give you the lowdown: Each Lokai bracelet is infused with elements from the highest and lowest points on Earth. The band’s white bead carries water from Mt. 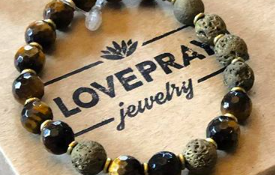 Everest and mud from the Dead Sea in its black beads, acting as a reinforcement to live a well-balanced life; to stay humble during the highs and hopeful during the lows. Not a bad motto, if you ask us. It’s an ideal opportunity to contribute to a good cause while adding a new accessory to your wardrobe—and that’s a big win-win.